We know that looking through catalogs and visiting suppliers can be overwhelming and a lot of new information to digest for someone new to the hardscaping world. In this blog edition, we will briefly be going over the main hardscaping terms and popular styles of patio pavers and walls. We hope that this information will make the selection process easier and will help give a deeper understanding of basic hardscaping terms and options. With that, let's get down to the basics! Has the classic brick shape. Typically symmetrical square shapes, here we see both a smooth finish and texturized. More Beveled look, cobblestone feel. Venetian Stone normally has a texturized look and is great for driveways as well as patios! Like the textured look? Venetian Heritage Stone has even more texture! Oblong shapes and edges, typically more randomized patterns. Tumbled edged pavers give the patio an old-world and European feel. Another important factor to consider is color. Each style usually comes in a variety of colors depending on the supplier. Colors can range from deep blue-gray hues to deep red hues, all the way to light colored neutral tones to dark, rich colored neutral tones. So no matter what color scheme you are looking for, there is sure to be one that will align to your vision! Horizontal pattern (Think like a ship). Vertical Pattern (Think like a human body). Borders can be done along the outside of the patio, giving it a framed look, and they can also be done inside the outer edge giving the patio a nice design or shape (as seen on the sailor image above). Many people also like to use Holland Stone for its simple design. 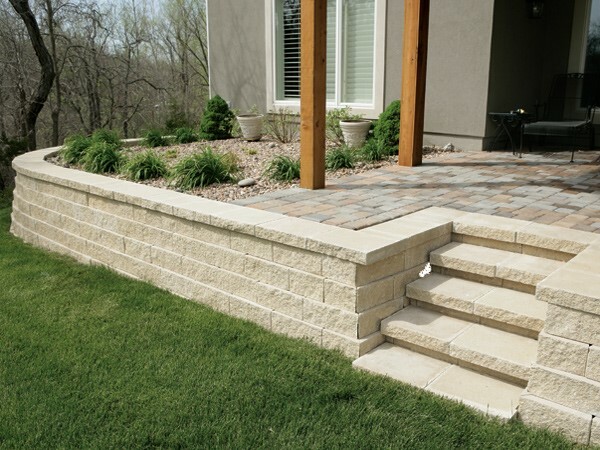 If you choose to add a retaining or border wall to your patio, you can choose any corresponding wall that you like! 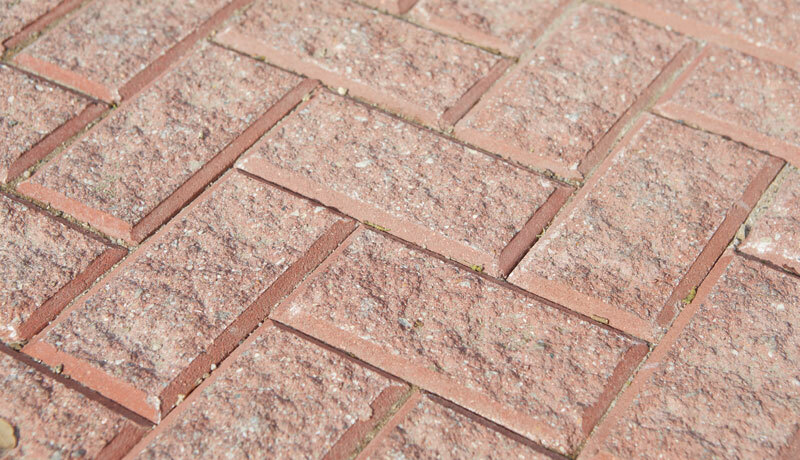 Depending on the supplier, they usually have a matching set of your patio paver in wall block form, with the same and other color options. Feel free to mix and match or keep it simple and stick with the same color! When looking at wall placement here are the main options to consider. Classic straight look, generally each wall block has a flat surface and lines up exactly with each other. Wall block is beveled outward rather than just a flat block surface. Usually a beveled look, Triplane is often stacked in a staggered, inclining pattern. Commonly seen on the tops of walls and fire pits are Caps. Depending on the supplier, caps generally come in many different stone materials, such as Ledge stone and Limestone, as well as even the same color and material as the wall block. Adding any caps to a wall is completely up to the homeowner and is mainly used for design aesthetic. Caps can be seen at the top of the walls and columns above. Trap Caps can be seen on the Fire Pit and also lining the top of the seating wall. We hope that after reading this blog, you now feel that you have an informed and deeper understanding of patio paver and wall hardscaping terms, options, and the popular trends. You may have even found some new possibilities for your space that you didn't initially consider! Regardless, we hope that this makes your hardscaping project and process easier, and we are of course here to help answer any further questions along the way. Special thanks to Keystone Hardscapes and Pavestone for the imagery!